The Bible as a source of wisdom and authority in daily life Notes for the WJEC Eduqas Christianity course for year 1. These are in depth notes that have enough points to get full marks. This is for the new specification, and so are hard to find elsewhere. 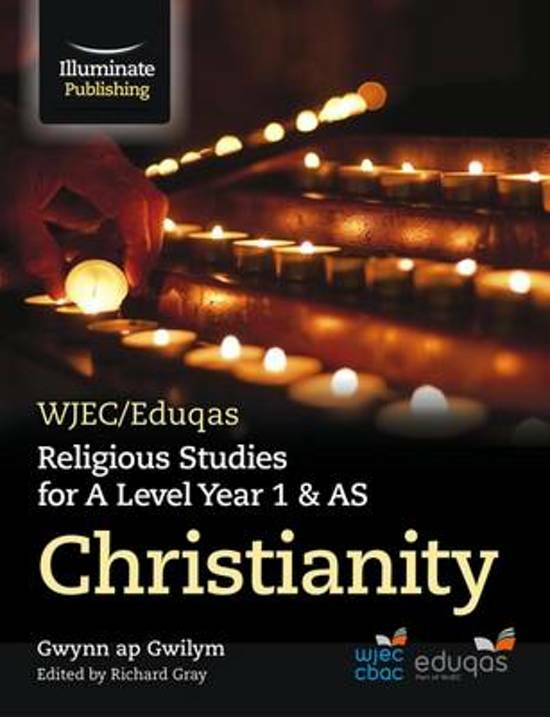 The Community of Believers Notes for the WJEC Eduqas Christianity course for year 1. These are in depth notes that have enough points to get full marks. This is for the new specification, and so are hard to find elsewhere. Religious identity through diversity in baptism Notes for the WJEC Eduqas Christianity course for year 1. These are in depth notes that have enough points to get full marks. This is for the new specification, and so are hard to find elsewhere. The Atonement Notes for the WJEC Eduqas Christianity course for year 1. These are in depth notes that have enough points to get full marks. This is for the new specification, and so are hard to find elsewhere. Religious Identity through diversity in the Eucharist Notes for the WJEC Eduqas Christianity course for year 1. These are in depth notes that have enough points to get full marks. This is for the new specification, and so are hard to find elsewhere. Is God Male Notes for the WJEC Eduqas Christianity course for year 1. These are in depth notes that have enough points to get full marks. This is for the new specification, and so are hard to find elsewhere. The Trinity Notes for the WJEC Eduqas Christianity course for year 1. These are in depth notes that have enough points to get full marks. This is for the new specification, and so are hard to find elsewhere. Jesus: His Resurrection Notes for the WJEC Eduqas Christianity course for year 1. These are in depth notes that have enough points to get full marks. This is for the new specification, and so are hard to find elsewhere.